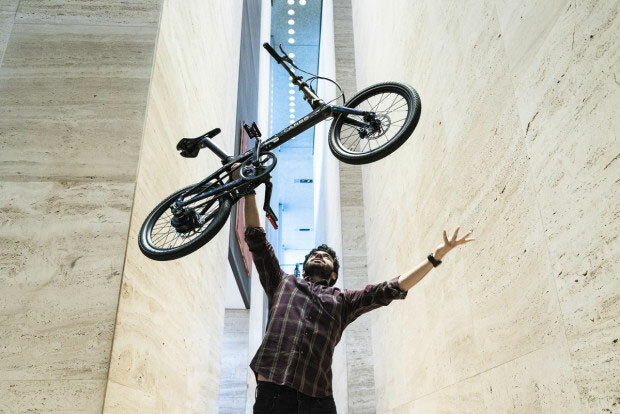 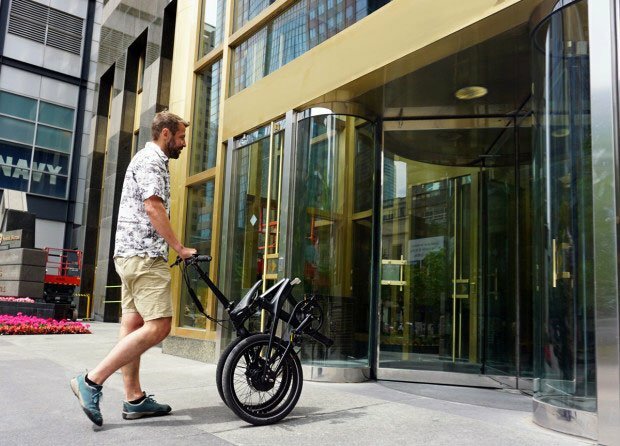 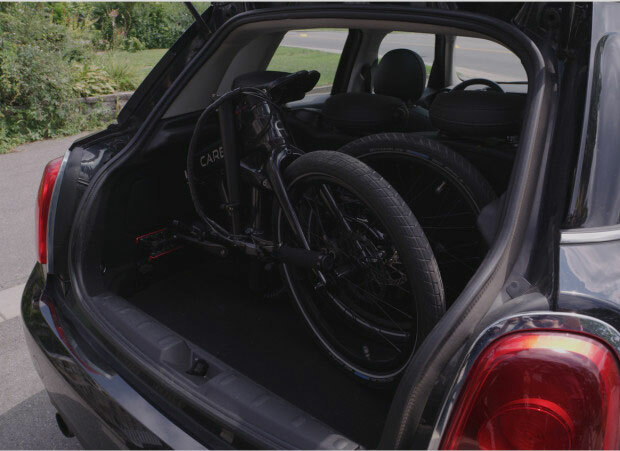 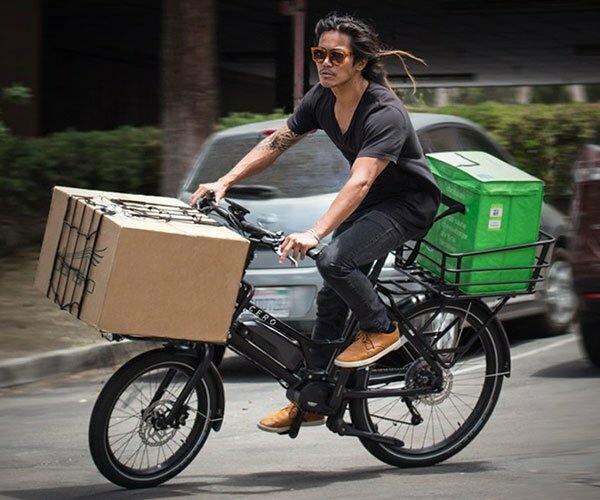 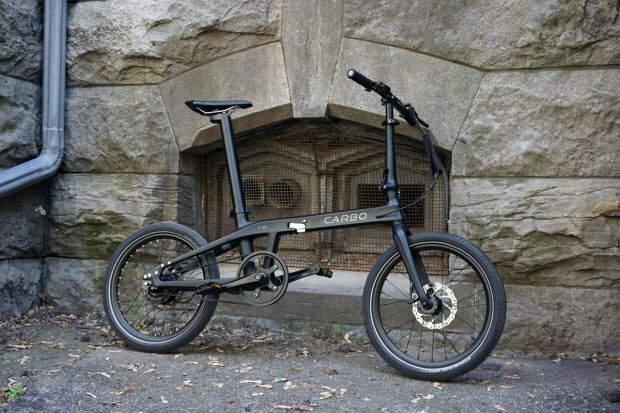 At just over 28 lb, Carbo is the world’s lightest folding electric bicycle. 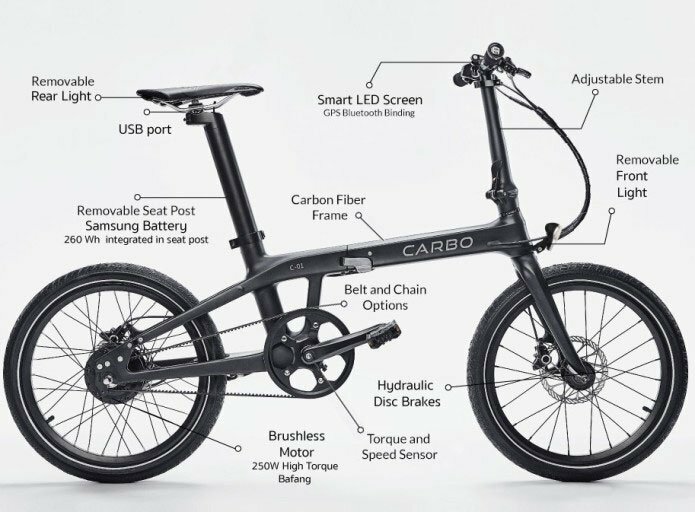 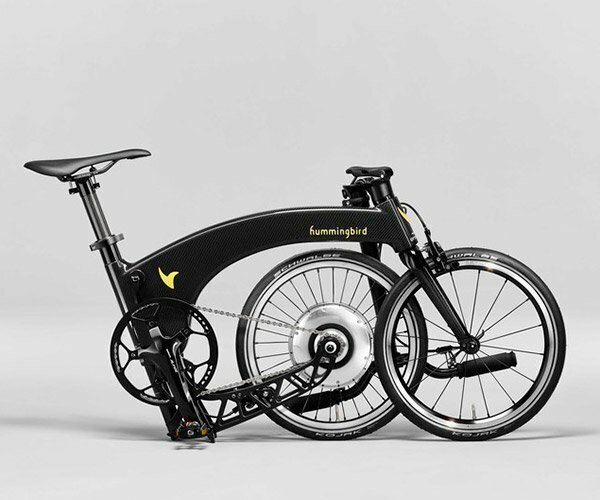 It has a carbon fiber frame, a removable battery integrated into the seat post, hydraulic disc brakes, a 250W motor and removable lights. 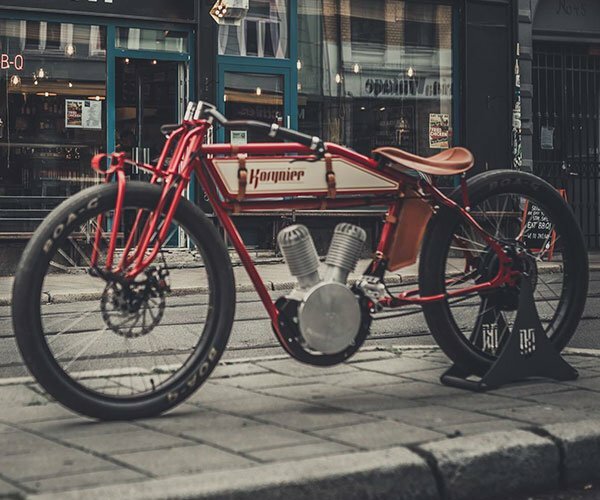 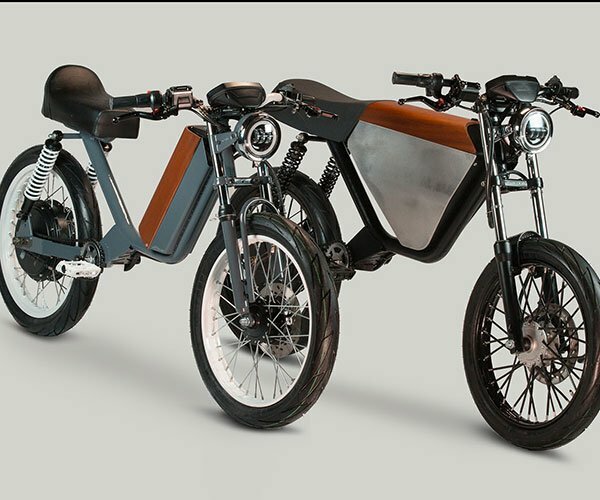 It lasts up to 40 mi per charge and goes up to 20mph.